Non-Jewish people often confuse two important words in Jewish history: the Talmud and the Torah. They sounds vaguely similar, and may sound like they stem from the same concept, when, in fact, these are two very different things. The Talmud is the most vital manuscript of the conventional Judaism religion. It is literally the Hebrew word for “learning,” and is sometimes referred to as the six orders of the Mishnah. The Talmud contains the history of the Jewish religion, as well as their laws and beliefs. It is the basic tool for learning the ethics behind the customs of their religion. Torah, on the other hand, is the Hebrew word for “instruction.” The Torah is most widely known as the five books of Moses. Another word for Torah is “Pentateuch,” which is more widely used in some Jewish nations. Like the Talmud, the Torah is also a very religious manuscript. They both contain religious writings important to the Jewish community. The Torah is basically the Hebrew Bible – it contains the 613 commandments, and is the whole context of Jewish laws and traditions. Some people may say that the Torah is the Old Testament. To the Jewish people, the concept of the Old Testament is not widely used. It is, in fact, unfamiliar for them. There is also no such thing as the New Testament in the scriptures of the Jews; the books that Christians call the New Testament are not part of their scriptures. “Tanakh” is the Jewish term for the written Old Testament. Most people from find it hard to distinguish between the two Jewish concepts just from their definitions. The key difference is that the Torah mainly describes the initial five chapters of the Hebrew Bible (Genesis, Exodus, Leviticus, Numbers, and Deuteronomy). To put it simply, the Torah comprises the entirety of Jewish law and tradition. Under Jewish beliefs, Moses received the Torah as a written text alongside an oral version or commentary. This oral section is now what the Jews call the Talmud. The Talmud depicts the primary codification (by Rabbi Judah the Prince) of the Jewish decrees. The oral Torah, or the Talmud, explains the meaning behind the written texts so it is easier for people to apply them in their daily lives. The scriptures are a vital part of how they should live. All the oral traditions were compiled and called the Mishnah. 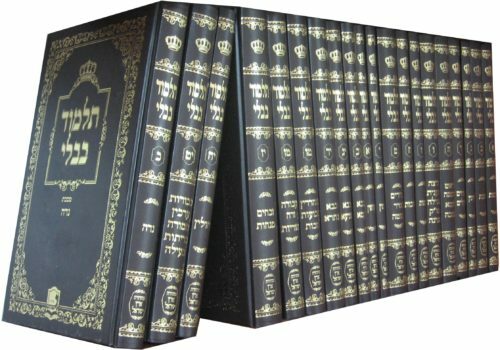 Over the years, more commentaries are added to the Mishnah – these are referred to as the Gemara. There are two kinds of Talmud: the Babylonian Talmud (the more complete one and more widely used of the two) and the Jerusalem Talmud. 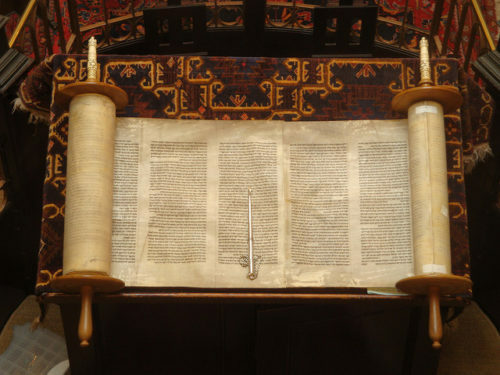 The Jewish law being practiced by modern Jews is mostly based on the Torah; a lot of people actually say that the Torah is the most important reference in the Jewish community. However, Jews still base some of their practices in Rabbinic Judaism on the Talmud. All in all, the commentary of the sages, including their writings within the debate between Jews about the Torah, is what we now call the Talmud. Its purpose is to help people follow the rules of the Torah. 1.The Talmud is the most vital manuscript of conventional Judaism. 2.The Talmud is the basic tool for learning the ethics behind the customs of Judaism. 3.The Torah is most widely known as the five books of Moses. 4.The Torah is the entirety of Jewish laws and traditions. 5.There is also no such thing as the New Testament in the scriptures of the Jews. 6.Moses received the Torah as a written text alongside an oral version or commentary. 7.This oral section is now what the Jews call the Talmud. Celine. "Difference Between Talmud and Torah." DifferenceBetween.net. May 22, 2017 < http://www.differencebetween.net/miscellaneous/religion-miscellaneous/difference-between-talmud-and-torah/ >. Read the plot against Christianity by Elizabeth Dillinger.Eye opening! The Torah– the five books of Moses– is not just “also” a holy book like the Talmud. It is the core around which the Talmud is constructed, and the hours that Jews spend studying the Talmud are spent only because the Talmud is considered a necessary guide to understanding what the Torah says. That is precisely what the original author just said. You merely stated the same thing in a different way. Just FYI. If you read her entire article, you will see this to be true. “The Talmud is the most vital manuscript of the conventional Judaism religion.” perfectly examples the problem. 1) The concept that “Moses received the Torah via a written text alongside an oral version or commentary.” was a premise created by the Pharisees. There is no verse within the Torah let alone the entire Tanakh that supports that premise. 2) The original Mishnah (commentaries on the Torah also called “The traditions of the Elders”) was lost with the destruction of 2nd Temple in 70 ce. The basis for the current Talmud was a Rabbi putting things back together from memory and other commentaries of the original Mishnah. Then the Gemara (more commentaries on the second Mishnah commentaries) was added to create the Talmud of today. And all of this was done after multiple generations had past from the 2nd Temples destruction. Judaism has spent too much time studying the Talmud and not enough time studying the Torah for them selves. Not that debate and even documentation of those debates about an original document (the Torah) are not good for review. But why would anyone want to revere and follow the commentaries of a document rather than the document it self? The Talmud has created more traditions of man and enslaved the Jewish nation more (Their minds and hearts) than was the case of their lives in Egypt their physical bodies). Why to you think the The Prophets so excoriated the Hebrew nation for leaving what was to be their First Love, Yahweh ? It wasn’t because they did follow the Talmud. What is the problem that the 10 lost tribes have ? It is not that they are not following the Talmud. How did Yahweh show Himself to Israel ? Through His Torah. Not the Talmud. Again historically the Talmud is a great document, but it is a work of mens hands and thus enslaves those who idolize it. Great Reply Luke. You expressed it perfectly. I am 100% pure man, but I could simply KISS you right now for writing this. Thank you for putting some questions I had into better focus. Much appreciated and I think you absolutely nailed it! You make a perfectly valid point. Why study the Metadata, when you have direct access to the Database itself! You are brilliant! Thanks again. What do you mean by ”100 % pure man”? It sounds like you mean you are secretly gay. I heard something recently that talked of this very thing – that the STUDY of the Torah, and the quest to “decode its secrets” has become more important than the actual words of YHWH himself. This is precisely what happened with the scribes and pharisees of Rome, and why Yashua Hamashiach called them out on it. He stated that while they claim to love YHWH, they couldn’t discern that the words of the Torah (word of Moses) were actually talking about HIM; they could “tell the weather” but couldn’t discern the signs, that the fulfillment of the Torah was right in front of them. Literally. I agree with you Luke, as christians do the same with the Bible. The man made interpretation of the Bible are made more important than the Bible itself. It takes courage to let go of interpretations and allow God to speak to us in a clear voice. We don’t have to be afraid of false teachings, they will always be there. If we allow the love of God and His Word in our heart, He WILL show us the Truth! Luke: you have made some very telling and educational observations, which I sincerely hope have the effect of at least making the reader ‘question what they believe to be proper and correct’……………………………..God be with You. i’m not well school on the topic but i can agree with Luke. Why would you want to recite & study works of man, when the Torah is divine. Luke if i may ask, If the Jews do not have the NT then what record of the Jesus do they have or where does Jesus fit in. Surely he was a Rabbi & they should have commentries then of Him? Laurie, the author is Dilling, not Dillinger. And it’s nice to know you recommend a book that is also endorsed by David Duke. Mein Kampf, was penned by Adolf Hitler himself, yet it should be required reading by all 6 billion people on the face of the planet. So, the David Duke reference is hardly insightful. This statement: “Under Jewish beliefs, Moses received the Torah via a written text alongside an oral version or commentary. This oral section is now what the Jews call the Talmud” is incorrect. The Jewish people did not have the Talmud until after the Babylonian captivity (587-518 BC). It came out of this captivity. This is why it is called the Babylonian Talmud. This is well documented in history. The Jewish people know this. Ancient Jews did not practice this type of Judaism (1800-588 BC) This is why Orthodox Jews don’t use it. What Orthodox Jews don’t use the Talmud? You may consider that its content appeared during the Babylonian captivity, but the belief prevails among Orthodox Jews that its content was orally transmitted from as far back as the origin of the Torah. How can that which is made for the purpose of defining and clarifying a thing, also be created in parallel time as the thing it is said to define and clarify? Doesn’t ‘a’ thing have to come into existence before that which designed for the sole purpose of explaining it? Can the cart come before the horse? Does lightening come before thunder (sorry, that’s a trick question and I should not have thrown that one in there)? You might think of it the other way around– think of the Talmud as the original comprehensive law and the Torah as the essential notes kept as reminders. Supposedly the entire law was handed down from generation to generation but only after many centuries did the rabbis decide that they’d better write down what isn’t in the Torah so that it won’t get lost. Thanks. Reading the article and the comments on it I now have an idea about the difference between the Torah and the Talmud. I enjoy reading the article “Talmud v.s. Torah” and your comments are very informative. Thanks. Would it be acceptable then for a gentile to think of the Talmud as a sort of “Cliff’s Notes” for the Torah, as a rough analogy? Accent on “rough”, and yes, it’s a serious question, no disrespect intended. Big emphasis on the “rough.” A better analogy is a college course that assigns you a play or novel to read and insists that you can’t understand it unless you read a heavy volume of critical analysis that is much harder to read and much longer than the thing it’s analyzing. The big difference is that Cliff’s Notes is a simplification and the Talmud is an elaboration. The Talmud is much longer than the written Torah, and its language is no easier to understand. I have been trying to get to the root of spiritual knowledge since my early youth. I was raised a Baptist, my mother was a Pentecostal Minister, I migrated to a non-denominational church and finally I am studying Judiasm. I did often wonder where this “oral version” as it is referred to actually came from as I did not see it in scripture. Also, I understand that there is intense debate regarding the subject matter. Where my question lay is who came up with the final version, and what made the sages of the time feel qualified the to put their version in writing ??? Lastly, where does a new comer go from here? Well, if you all are gonna ignore me I’m just not gonna play with you anymore. This is me taking my dolly and going home. Also, I’m gonna make new friends and throw a party and you all are not invited. I’m sorry, I didn’t mean that, I still like you. Hmm? No, I’m in my forties. Why would you think I’m in grade school? In 1242, for example, King Louis IX of France, a canonised saint of the Roman Catholic Church, condemned the Jewish Talmud as a vicious attack on the person of Christ. The book was banned and copies were publicly burned in the presence of the King. Louis had no interest in discussing his differences with the Jewish communities of France in a peaceful, rational way. He once claimed that the only way to debate with a Jew was to kill him ‘with a good thrust in the belly as far as the sword will go’. It was Louis who called the first Inquisition to bring Christian heretics to justice and burned not merely their books but hundreds of men and women. King Louis was also a Muslim-hater and led two crusades against the Islamic world. In Louis’ day it was not Islam but the Christian West which found it impossible to coexist with others. Indeed, the bitter history of Muslim-Western relations can be said to have begun with an attack on Muhammad in Muslim Spain. Spain was a Christian nation before Islam took control. Eventually, Christian took Spain back. Remember, Islam was created 600 plus years after the death of Jesus. Neither Judaism nor Islam share the Christian conception of heresy, which raises human ideas about the divine to an unacceptably high level and almost makes them a form of idolatry. The period of the Crusades, when the fictional Mahound was established, was also a time of great strain and denial in Europe. This is graphically expressed in the phobia about Islam. The only way that the establishment seemed able to cope with these aliens was by imposing an official policy of apartheid, forbidding Christians to have any contact with their Muslim and Jewish neighbours. Were the ancient tribes of Israel all Black people? If so is that a problem? Frustrating: I’d like to know something of the content of the Talmud and how it may be used in contemporary Jewish society, not merely historical relationships. My point being, if you get enough influential people together, all you have to do is make some far fetched story up, get your group all on the same page, and start a church based around your group’s fairy tale, you’re bound to find weak minded people that feel the need to believe in something to get them thru life. This is how every religion started. You don’t need a book to tell you right from wrong. I know it’s wrong to steal or kill or etc, and I’ve never gone to church. Or temple, synagogue, mosque. How do you know that it’s wrong to steal? From what you’re saying it could be right to steal. I just need to get some people together to believe it and we can start a religion. We know it is wrong because God said that it was wrong. Many take his word and twist it to make the wrong that they are doing okay. That’s the problem.